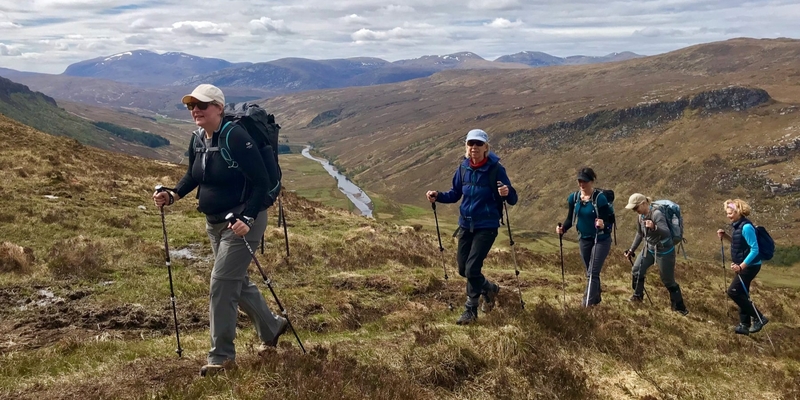 Hike into the wild and unspoiled landscapes of the North West Highlands in Scotland on our 8 Day, Women Only, Small Group Hiking Adventure Tour in Scotland! You’ll experience authentic Scotland first hand with its vast landscapes, rocky coastlines, and secluded mountains. Your adventure in Scotland will be the perfect blend of culture, food, challenging hikes, historical castles, and Mama Nature. You’ll enjoy a scenic train ride from Edinburgh through Cairngorms National Park to Inverness before taking our private Explorer Chick transport deep into the North West Highlands. 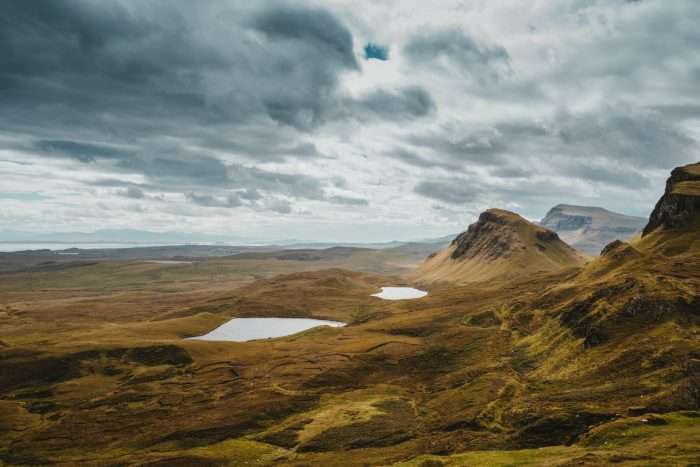 The North West Highlands of Scotland are known for rugged landscapes, sparsely populated villages, imposing peaks that jut out of the ground, and thousands of lochs in every direction. You’ll embark on hikes daily to explore this “off the beaten track” paradise of Scotland. 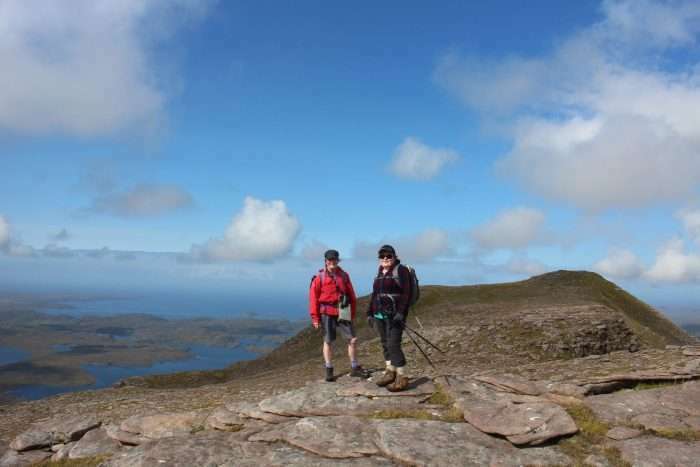 You’ll tick off your first Munro at 3,218 feet with the reward of a bird’s eye view of the Torridon Mountains below. 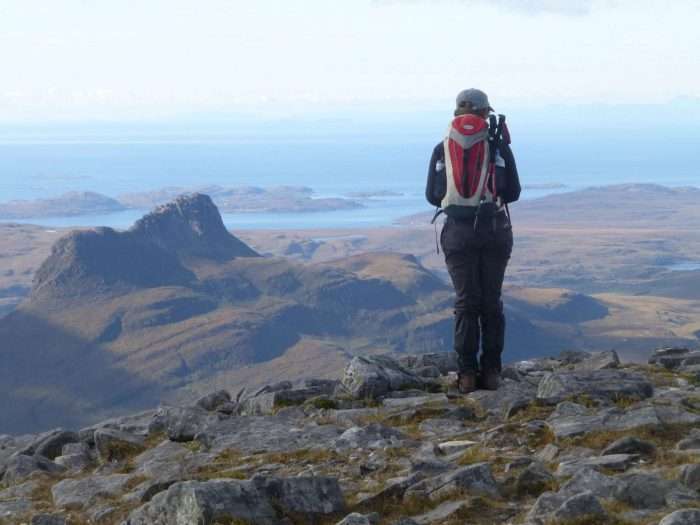 You’ll scramble up remote peaks of the Assynt region passing numerous lochs to gain the summit. You’ll savor delicious pies picnicking on rugged coastline cliffs. You’ll sip on whiskey and gin from a local distillery. You’ll experience the local flavor and flair of remote villages where sheep and other livestock roam free. You’ll head out on the town in search of local pubs with live music. You’ll ignite all of your senses with meals sourced locally and following Scottish tradition. Each night, we’ll return to cozy, authentic Scottish Inns. 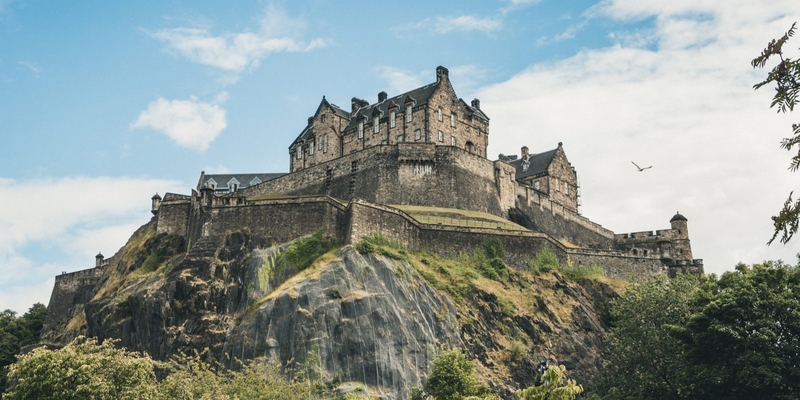 Oh, and what’s Scotland without trip to a wonderfully preserved castle or ruin? You’ll visit the ruins of a 16th Century castle imagining the life of long ago. On your final night, you’ll sleep and feast in a 15th Century Castle luxury hotel like the Explorer Chick Queens that you are! 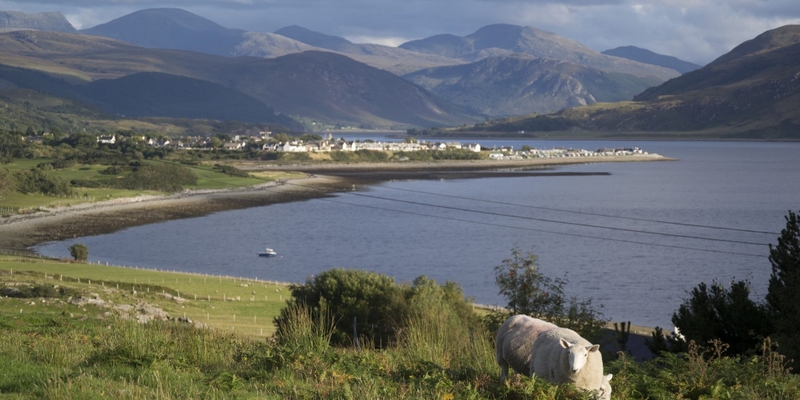 Experience the unspoiled vistas and cultural gems of Scotland’s North West Highlands! Travel by train and have your camera ready as you catch your first glimpse of the Scottish landscape in Cairngorms National Park. Feast your eyes across the entire country of Scotland with views of the East and West coast from a small mountain peak. 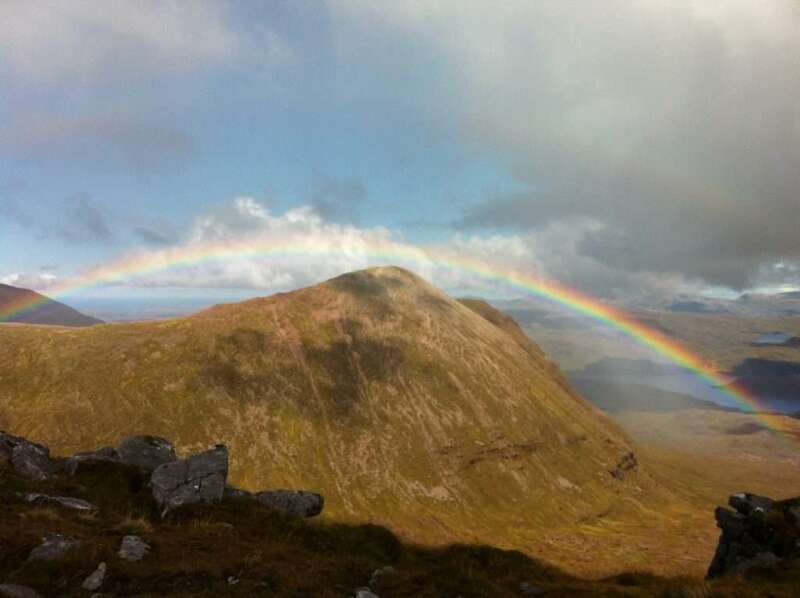 Bag your first Munro – a Scottish mountain over 3,000 ft. 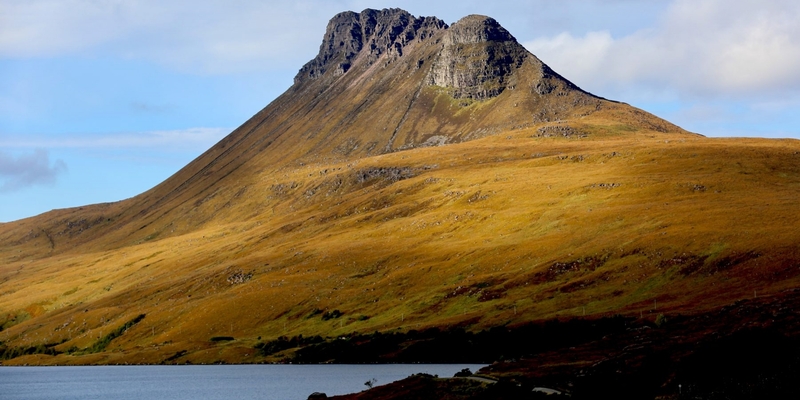 Outdoor enthusiasts often take decades to complete all 282 peaks in Scotland! 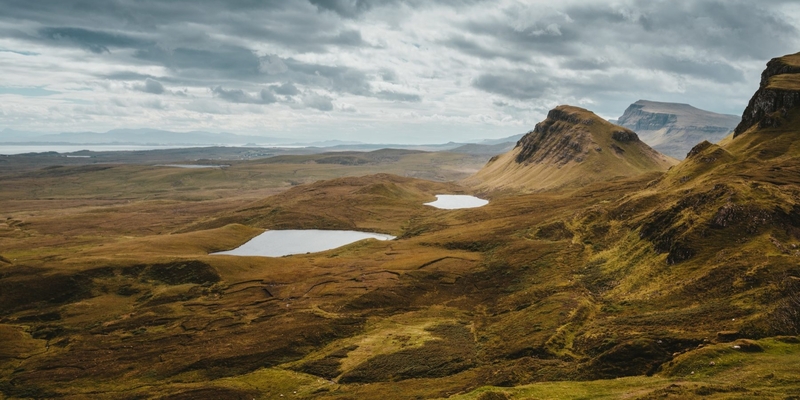 Explore the rugged coastlines of Scotland while enjoying a savory, homemade pie from a local restaurant. 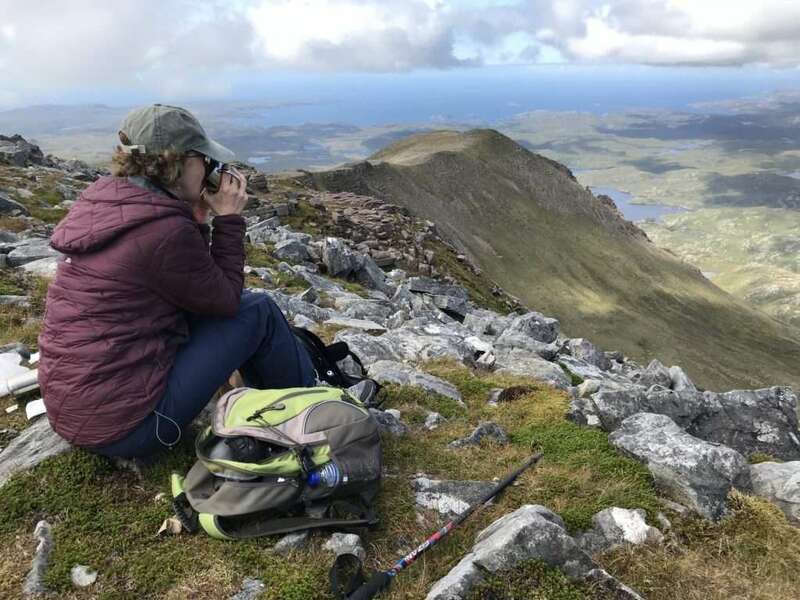 Hike up mountainsides, across grassy landscapes, and long ridge lines with views tiny lochs in the distance in the Assynt region. Visit the ruins of a 16th century castle in rural Scotland. Relax and wind down each evening in traditional, Scottish lodging and seek out local pubs with live music. Dine like a local tasting a variety of authentic Scottish flavors in local restaurants throughout the North West Highlands. Relax with a comprehensive itinerary that makes the logistics of arrival and everything between easy. 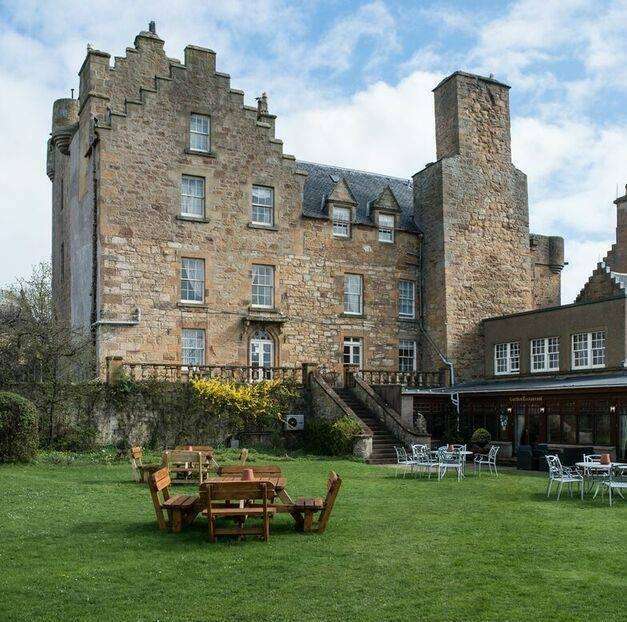 7 nights of authentic, Scottish Lodging throughout itinerary. Shared – 2 per room. Complimentary Wi-Fi and en-suite bathrooms in each room. Day 1: Arrivals to Edinburgh – Scotland’s Historical Capital! Arrive in Edinburgh! You are free to explore Edinburgh on your own. We’ll meet up as a group at 7pm for orientation and a Welcome Dinner. Edinburgh has been the capital of Scotland since the 15th Century. Gaining UNESCO World Heritage Status in 1995, Old Town and New Town are preserved architectural windows to a world dating back to 1130 AD. Step back nearly 900 years and stroll the historic streets of Old Town. 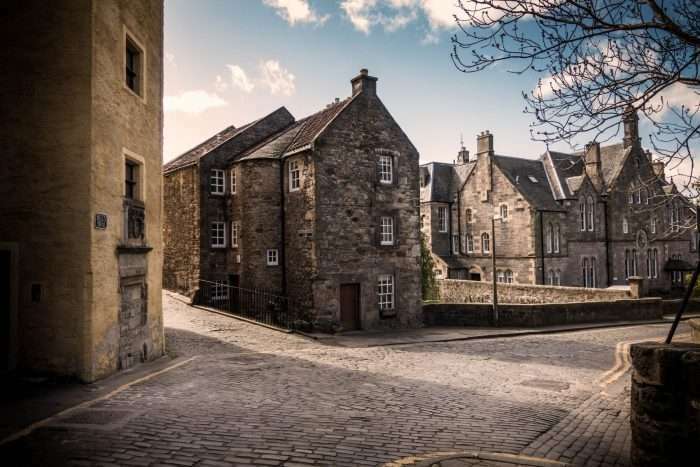 This area of Edinburgh has preserved much of the medieval street layout and buildings. After you’ve explored all of the narrow alleys and cobblestone walkways, make your way through Princes Street Gardens for an iconic view of Edinburgh Castle. Marvel in New Town where you’ll witness Neo-Classical Architecture from the 18th Century. After breakfast in Edinburgh, we’ll hop on the train and travel 3.5 hours through the Scottish countryside and Cairngorms National Park to Inverness. We’ll then head off into the North West Highlands in our Explorer Chick Transport Van. 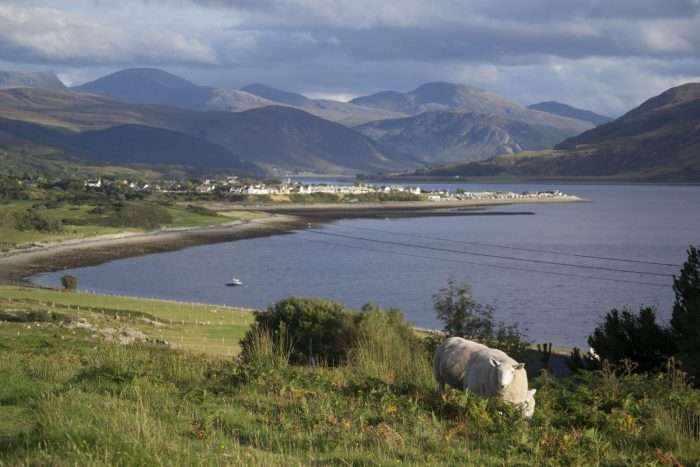 The North West Highlands remain a true, unspoiled and rarely visited area of Scotland. During our time in the North West Highlands, we’ll explore landscapes that hardly see much human traffic. We won’t the entire day on our bums! 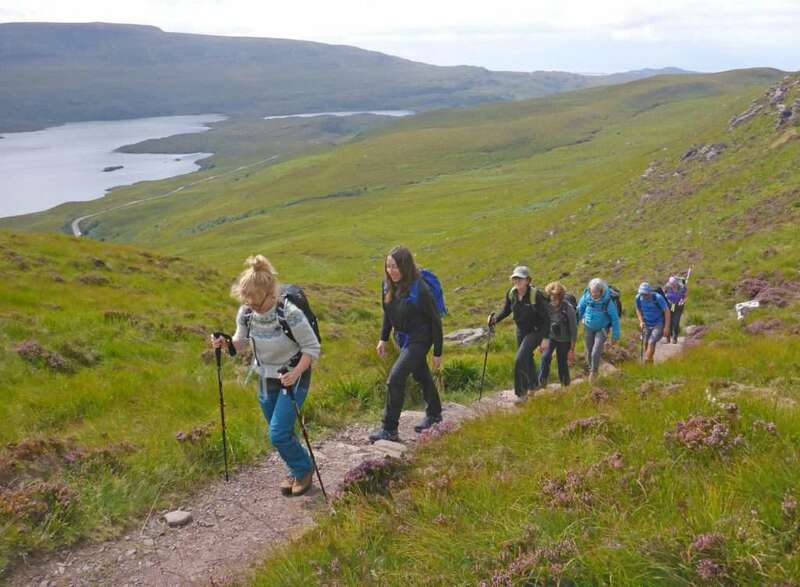 Upon arrival, we’ll stretch our legs on our first hike in Scotland by walking along a beautiful loch with views of the Torridon Mountains and ending next to a rushing waterfall. Day 3: Tick Off Your First Munro! We’ll bag our first Munro today! 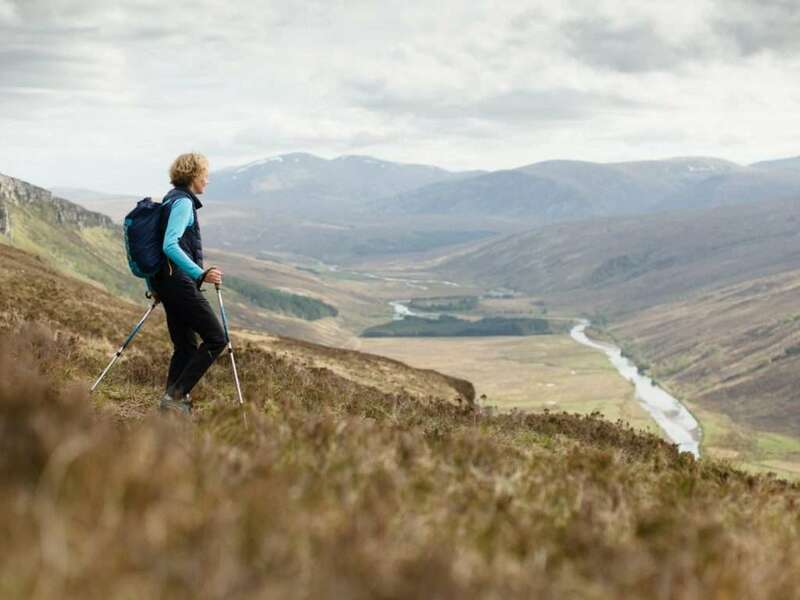 A Munro is a Scottish mountain over 3,000 ft. “Munro Bagging” is a big accomplishment for outdoor enthusiasts who seek out each of the 282 qualifying peaks in Scotland. Our first Munro, Slioch, is one of the most imposing peaks in the region. We’ll eat a hearty, Scottish breakfast before setting off on our 12 mile hike to the summit. Our hike will take us along a peaceful lake until we begin the ascent up the boggy, rocky trail. 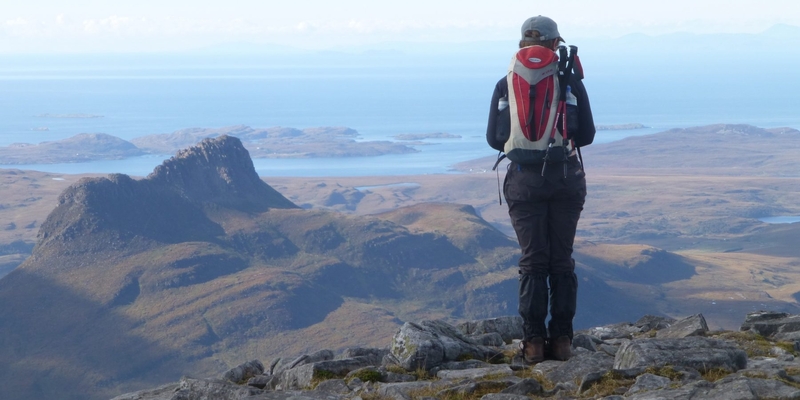 As we stop to catch our breath, it’ll be taken away again with panoramic views from the ridge line of multiple lochs and the Torridon Mountains from above. 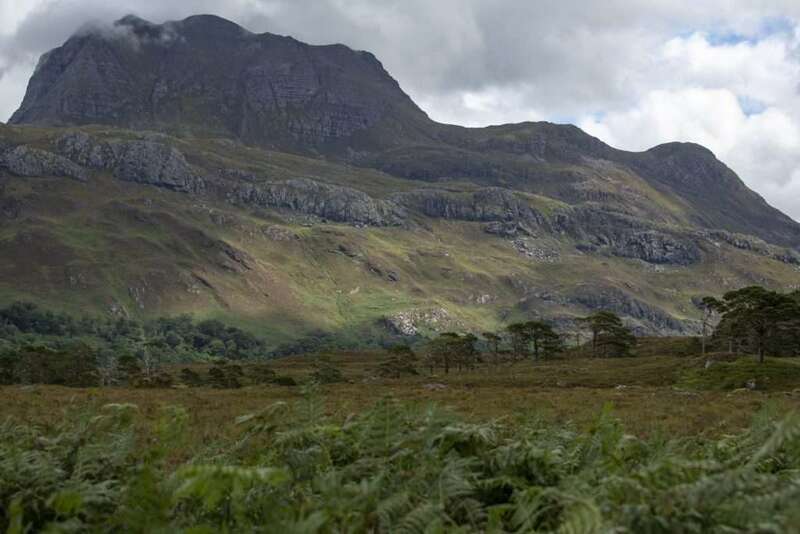 The summit will reward us with views of Loch Maree below, dotted with tiny wooded islands. On the trail down, we’ll be able to take in the full beauty of the North West Highlands from one of the higher points in Scotland. After breakfast, we’ll pack up and depart our cozy Torridon Inn. We’ll transfer further north to the sparsely populated area of Assynt. Assynt is known for its distinctive mountains which seem to rise straight out from the landscape. This area is home to the iconic “cnoc and lochan” scenery. We’ll hike and scramble our way up the classic peak of Cul Mor to catch views of the nearby mountains and lochs. 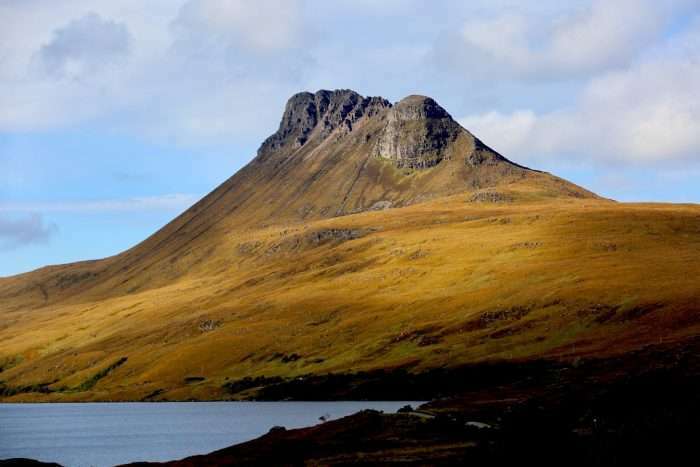 We’ll make our way towards the dramatic outline of Cul Mor while hiking through some boggy sections of the trail and a short boulder field. Near the summit, you’ll have the option of taking the shortest path and scrambling your way to the summit. If scrambling isn’t your cup of tea, you can easily opt to traverse around the wide, Sron Gharbh ridge line. 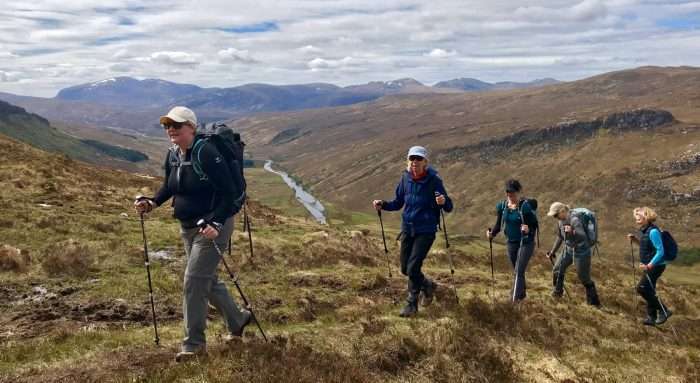 Once we all reach the summit, we’ll have views of multiple lochs in the distance, dramatic mountain outlines, and nothing but Mother Nature’s beauty for as far as our eyes can see. Still looking for more? Hike up the satellite peak, Creag nan Calman, from the saddle between the two mountains and bag two peaks in one day! 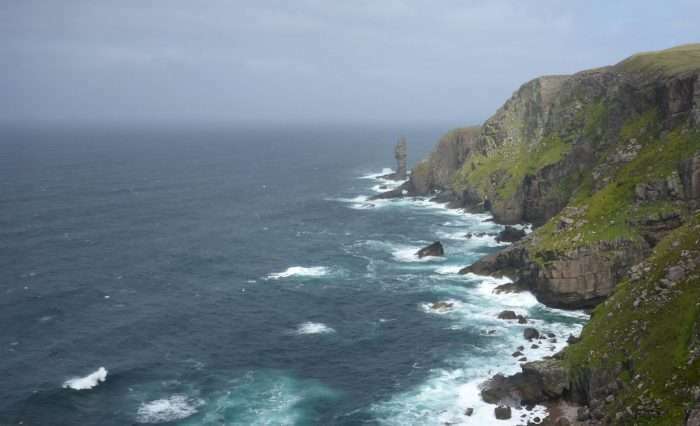 We’ll give our legs a little break today as explore the rugged coastline that is so typical of the North West Highlands. 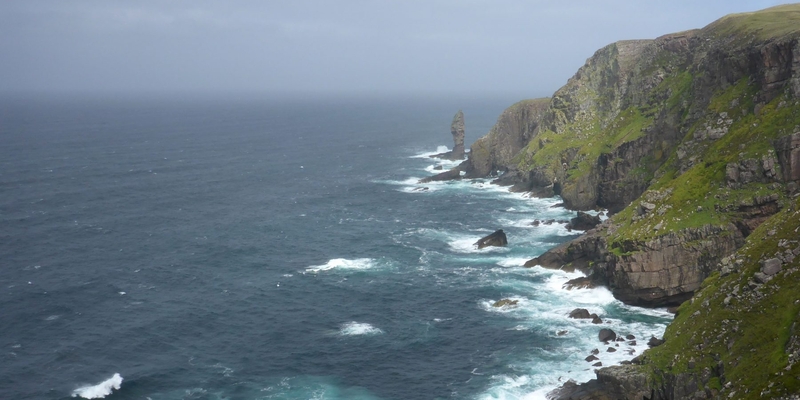 Our coastal hike explores this wild landscape and leads us to a clifftop viewpoint to see an imposing 200 ft rocky tower called the Old Man of Stoer. We’ll look for rock climbers ascending the vertical tower as the ocean crashes below. Because views are much better with food, we’ll enjoy savory pies for lunch made in a local village along the coastline with unobstructed views of the Atlantic. 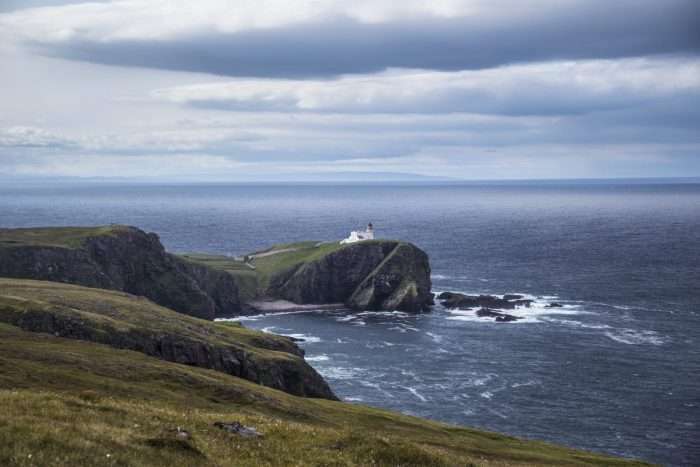 Nearby, we’ll visit the Stoer Head Lighthouse, built in 1870, as one of 45 crucial lighthouses in Scotland to protect shipping. Afterwards, we’ll begin our slow journey to the nearby villages where traffic jams are the equivalent of sheep crossings. You’ll have the opportunity to tour and shop at a local pottery studio with an international reputation for innovation and quality. Back in Ullapool, we have built in 1-2 hours of free time for you to explore the seaside town and shop locally made goods/souvenirs. Wander the quaint streets, check out the marina, savor a drink from a local pub, or simply relax by the water. After a hearty breakfast, we’ll head north into the rugged landscape of the Assynt region in the North West Highlands. Our goal today is to summit a stunning trio of peaks on Quinag. It’s a predominately uphill hike as we ascend the first of 3 Corbetts (Scottish mountain between 2,500ft and 3,000ft). 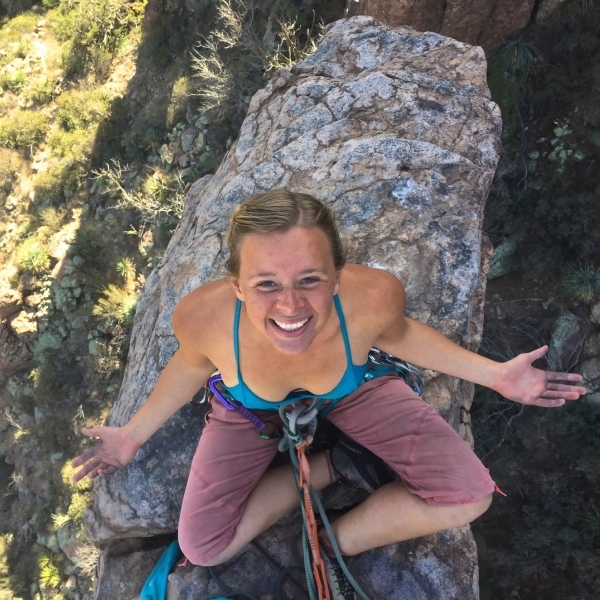 We’ll hike up boulder fields, along ridge lines and scramble our way to the first summit! We’ll be rewarded with views of thousands of tiny scattered lochs in the distant horizon. From the first summit, we’ll take a gradual down and uphill hike to the remaining 2 summits. On the way back to our Inn, we stop to see the ruins of Ardvreck Castle dating back to the 16th century. We’ll trade our cozy Inn for a 15th Century Castle Hotel tonight! 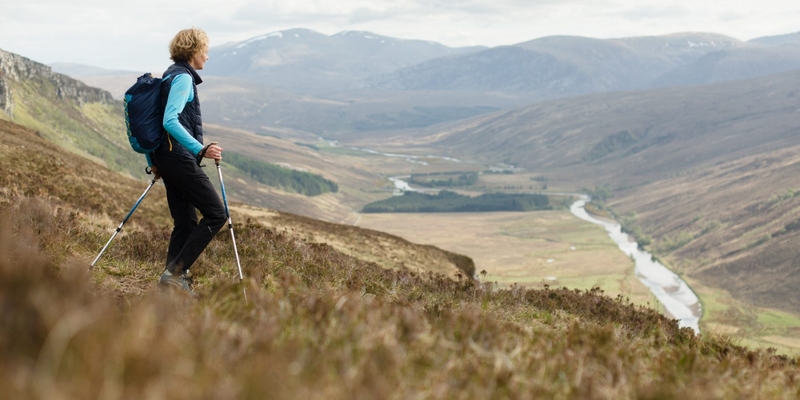 Along the drive to our Castle Hotel, we’ll stretch our legs on a relaxed hike to the summit of Ben Bhraggie. Here, we’ll be able to see the east and west coasts of Scotland from one place! The controversial, 100′ tall Duke of Sutherland Monument marks the summit of Ben Bhraggie. Upon arrival to our Castle Hotel, you’ll be able to explore the nearby beach or step back in time to the 15th Century in our Castle Hotel. Inside the castle, explore the labyrinth of historical rooms and passageways. Walk through the castle gardens to the on-site distillery specializing in whisky and gin. In the evening, we’ll feast like queens in our castle restaurant featuring traditional meals made of locally sourced ingredients. 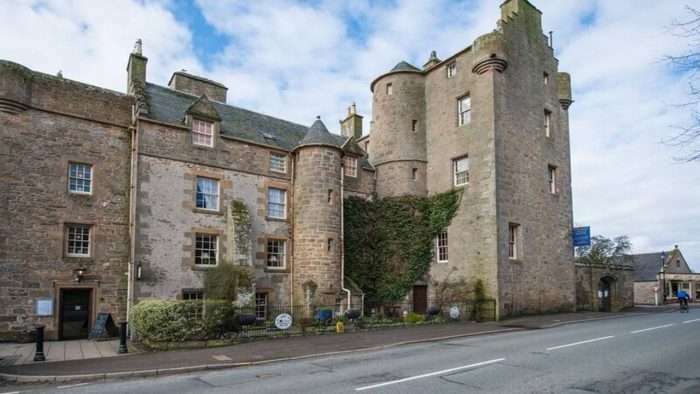 After breakfast in our castle digs, we’ll load up and head to the Inverness Train Station. We’ll hop on the train back to Edinburgh and say goodbye to the Scottish countryside. You will be with your Explorer Chick group up until our arrival at Waverly Station in Edinburgh. 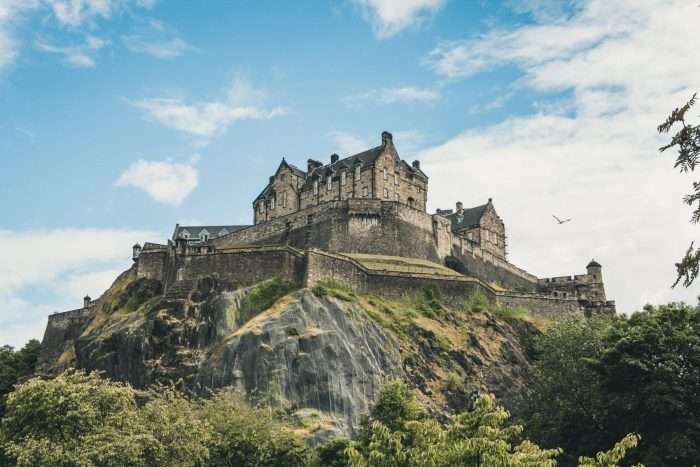 Upon arrival in Edinburgh, you can easily catch the tram taking you to the airport or to city centre if are staying another night in Edinburgh. You can plan to fly out of Edinburgh anytime after 6pm or arrange for a Edinburgh hotel stay on your own. You will receive a travel guide attached to your booking confirmation with all the information you’ll need to prepare for your epic trip including the Rendezvous Hotel information. Your adventure begins and ends in Edinburgh, Scotland. Day 1: Arrival Day. You can arrive to Edinburgh, Scotland at any time prior to 5pm. You are responsible for your own transportation to the hotel. Official group rendezvous will occur at 7pm in the hotel lobby. Day 8: Departure Day. You can fly out of Edinburgh after 6pm or arrange for an extra night in Edinburgh. You are responsible for your own transportation to the airport. 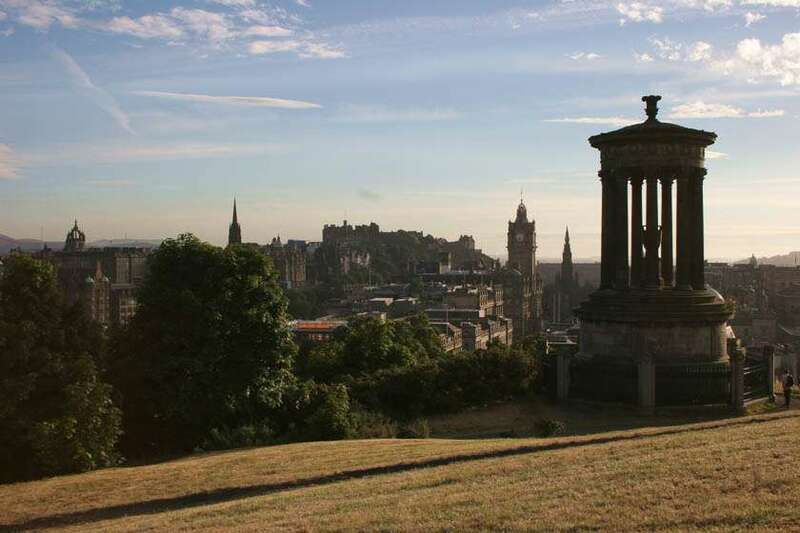 Your arrival and departure airport transfer in Edinburgh are NOT included with your package. Just as you would a marathon, you must train prior to your adventure. Your adventure to Scotland will not be a walk in the park. We will be hiking on rough terrain including wet and boggy trails, loose scree, and rock scrambling in all weather conditions. We’ll be hiking along exposed ridge lines and ascending peaks up to 3,218 feet. You should be comfortable hiking up to 9 hours or 13 miles on consecutive days. You should very easily be able to hike on rough terrain at 2 miles per hour. Please read the itinerary thoroughly with the stated elevation gains and distances.